Buildings may be visible from different directions and angles, but generally, before designing, we must first decide on a particular direction as the main direction of viewing. The viewing distance that most people may have. The distance of the distance will affect the clarity of the person’s appearance of the fa?ade, and at the same time affect the decision of the Lux. The brightness of the surrounding environment and background will affect the illumination required by the subject. If the perimeter is very dark, a little light is enough to illuminate the subject; if the perimeter is bright, the light must be reinforced to highlight the subject. Buildings may have different lighting effects due to their different appearances, or they may be more uniform or have strong changes in light and darkness; they may also be relatively flat or more lively, depending on the properties of the building itself. To decide. The choice of the light source should consider factors such as light color, color rendering, efficiency, and lifetime. The color of light has an equivalent relationship with the color of the material of the exterior wall of the building. 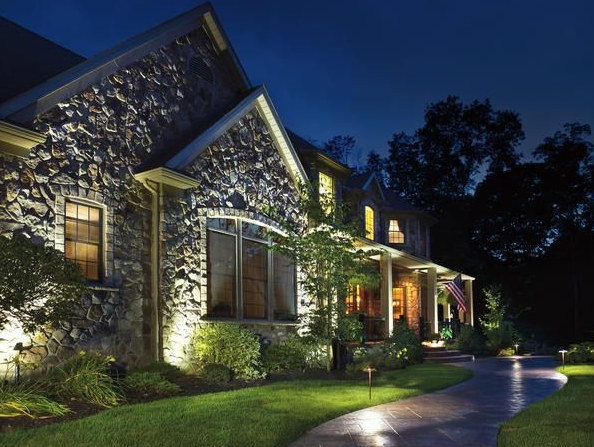 Generally speaking, the brick and yellow-brown stone are more suitable for illumination with warm light, and the light source is a high-pressure sodium lamp or a halogen lamp. The required illumination depends mainly on the brightness of the surrounding environment and the color of the exterior wall material. It is recommended that the illumination value is for the main facade. Generally speaking, the Lux of the secondary fa?ade is half of the main fa?ade, and the three-dimensional sense of the building can be expressed by the difference in brightness between the two faces. Generally speaking, the square type of projection light line has a large distribution angle; the round type lamp has a small angle; the wide-angle type lamp has a relatively uniform effect, but is not suitable for long-distance projection; the narrow-angle type lamp is suitable for long-distance projection. However, the uniformity is poor when used at close range. After the above steps are completed, the number of lamps is determined according to the illumination calculation of the selected light source, lamp, installation position and the like, so that the effect after installation is as close as possible to the desired. The appearance of the building is represented by the projection of the light at night, and the resulting effect is quite different from the daytime feel. Therefore, in the LED lighting engineering design, the effect is not necessarily the same as the daytime, but it is important to show the characteristics of the building.